Oneida wedding photographer..An Oneida Community Mansion Wedding is one of the most unique wedding locations. If you’re interested in having a historic site wedding then this former Utopian community is the place for you. 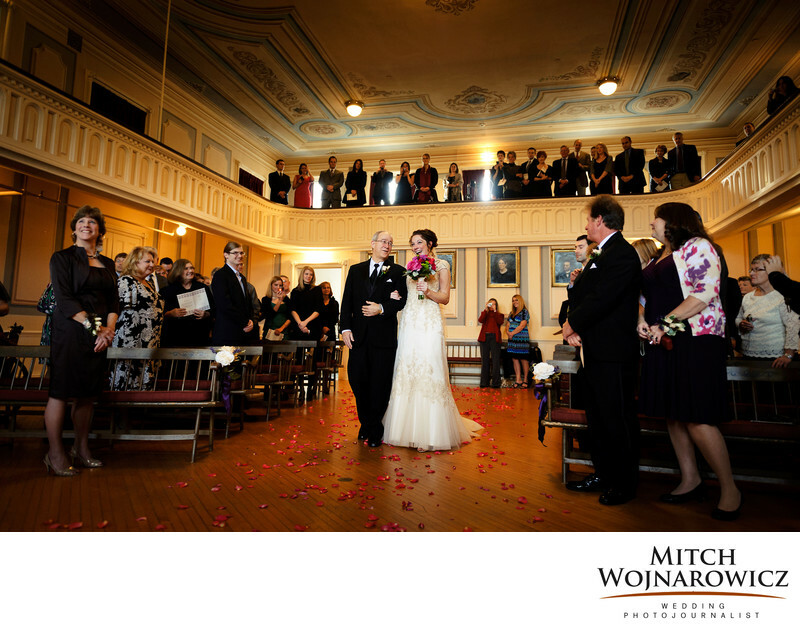 Abby and Will gathered a smaller group of friends and family and were married in the main gathering room of the mansion...As her father walked her up the aisle, she broke into a full smile as she saw Will and all the wedding nerves melted away. As a photojournalistic wedding photographer, I will place my work up against the best wedding photographer in New York. We’ll both have great ideas for wedding family formal photos and we’ll both have great wedding couples portrait ideas. ..But my approach to weddings means you’ll get so much more than a collection of portraits and group photos. From someone who is a true wedding photojournalist, and not just someone using that word as a marketing tactic, you’ll have these tiny special heartfelt moments captured for you forever. And in a stunning wedding location such as this, your photos will go beyond just you being placed in a way that uses the environment as a background. You’ll have a visually appealing image which also connects with you on an emotional level...Looking for a great Syracuse wedding photographer? Contact me today. Keywords: oneida (6), oneida community mansion house (6).